Shoppers 35 and under want to smell like themselves, not everyone else, and that’s bad news for the many celebrity products that occupy the midrange. At the luxe end of the spectrum, consumers in the U.S., Europe and Asia — including young Chinese shoppers — want aspirational and unusual options. — An explanation that fails to explain Le Labo Santal 33 (among others). Read more at Millennials Don't Want to Smell Like Celebs Anymore at Bloomberg. 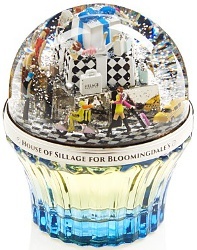 — Read more at Is Morreale's $1.5 Million Fragrance Bottle The Next Fabergé Egg? at Forbes. 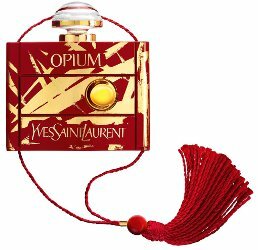 Thursday, January 25, Bulgari announced that its luxury fragrance "Opera Prima" -- the most expensive scent in the history of perfume -- has now been sold. The precious bottle, finished with gold leaf and gems including diamonds, was bought by a private client for the princely sum of €200,000. — You might not remember Opera Prima because it came out in 2014. Read more at Bulgari ‘Opera Prima': world's most expensive perfume sells for €200,000 at Fashion Network.